Are you interested in a fast-growing franchise opportunity? Do you want to get a fast start in a business of your own? Are you an investor who wants to grow a large business quickly? Then you should look into buying a franchise in a growing industry that has in-demand quality products or services. Franchises that have a national presence and a strong brand are good bets. When you start researching fast-growing franchise opportunities, be careful how this is defined. Some rankings are based on the number of new franchise units added while others may be based on revenue growth or same-store sales. Franchising changes quickly and growth rates can be different from year to year, so understand the time frames in these rankings. Understanding these definitions will help identify if an opportunity is right for you. What do the company’s experience, track record, and history look like? 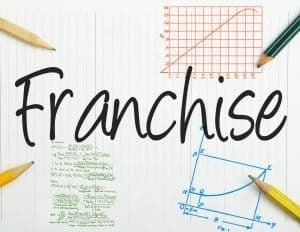 How many franchise units are there? What are current and future territories? Are there opportunities to open multiple locations? What operational, marketing, and training support is there? Does the company have a sustainable business model with good profit potential? Does the company have sufficient resources to support the franchisees? Find out about the growth of the top performing franchisees and how that might apply to you. Also, ask about challenges to growth and how the company is dealing with those challenges. 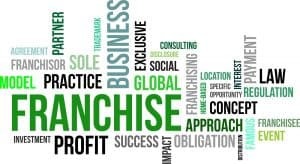 Be sure that any franchise you consider is not a fad that will fade quickly. You want to invest your time and money in legitimate businesses that are planning to be around for a long time. The bottom line is that you want to find a solid and supportive company in a growing industry that has products or services that are in demand. Look for a company that has the experience and financial resources to support your growth. Fast-growing franchise opportunities can help you reach your goals more quickly. If you want to get a jump start on your future in your own business, look for top fast-growing franchise business opportunities. We can help you discover how franchising can help you reach your goals. Contact our franchise experts today. June 6, 2018, Atlanta, GA — Pigtails & Crewcuts, a children’s hair salon franchise based out of Atlanta, Georgia, recently signed a franchise agreement with new franchisees Kiran and Jasbir Mohem in Sacramento, California. The Mohems plan to open three salons, bringing the franchise’s fun and whimsical approach to children’s haircuts to Sacramento and the surrounding area. The franchise currently has over 50 children’s salons across the country, with five locations currently open in Southern California and additional locations in development in the San Francisco Bay area. “We are excited to expand the franchise into Sacramento and look forward to working with Kiran and Jasbir to find the ideal locations for each of their salons,” says Michelle Holliman, Vice President of Franchise Development. About Pigtails & Crewcuts: Pigtails & Crewcuts is a children’s hair salon franchise created by parents for kids to offer a stress-free haircutting experience for the whole family. In addition to hair care services, Pigtails & Crewcuts offers a custom-line of kid-centric hair products and accessories, gifts, and a private party room for birthday celebrations. Franchise opportunities are available in the United States. For franchising information, please visit www.pigtailsandcrewcutsfranchise.com. June 6, 2018, Atlanta, GA — Pigtails & Crewcuts, a children’s hair salon franchise based out of Atlanta, Georgia, recently signed a franchise agreement with new owners Megan and Stephen Taylor in Oklahoma City, Oklahoma. The Taylors plan to open three salons, bringing the franchise’s fun and whimsical approach to children’s haircuts to Oklahoma City and the surrounding area. Pigtails & Crewcuts currently has over 50 children’s salons across the country. This will be the brand’s first venture into Oklahoma. “We are excited to expand the franchise into Oklahoma and look forward to working with Megan and Stephen to find the ideal locations in Oklahoma City for their salons,” says Michelle Holliman, Vice President of Franchise Development. May 22, 2018, Atlanta, GA — Pigtails & Crewcuts, the leading children’s hair salon in North America, is expanding and is pleased to announce franchise opportunities are available in Johns Creek, Georgia and the surrounding areas. “Johns Creek is a fast-growing, affluent community with many families choosing to locate in that area due to its convenience to rest of Metro Atlanta. Our kid-centric concept would thrive here. The community offers the ability to support it,” says Michelle Holliman, Vice President of Franchise Development. Holliman further states that a salon in the Johns Creek community would complement the franchise’s current salons in the Metro Atlanta area while also expanding the Brand’s reach to new families. Pigtails & Crewcuts is known for taking the experience of a child’s haircut and making it fun for all by providing a stress-free environment for children and their parents. Each salon features books, movies, and toys for children to enjoy before, during, and after their haircuts, as well as friendly stylists, a party room for special events, and a retail section offering haircare products and accessories, toys, and other gift items. The franchise model offers simple hours of operation, a positive work-life balance, and a welcoming and kid-friendly environment. Franchise candidates do not need specialized or previous franchise experience or previous experience in the haircare industry. Current owners in the Pigtails & Crewcuts franchise range from parents that decided to return to the workforce, entrepreneurs, multi-unit investors, and individuals that have invested in a business as a way to continue working after retiring from their previous careers. “Pigtails & Crewcuts does offer both single unit and multi-unit options. Our multi-unit options are great for franchise candidates who want to invest right away, but we do have several current franchisees that initially began with a single unit and later decided to open additional locations,” says Holliman. “With the franchise headquarters located in Buckhead, it makes sense to offer franchise opportunities in nearby communities. We are making a concentrated effort to enter new territories within the Southeast. However, franchise opportunities are available nationwide. Our franchise is in a stage of exponential growth and we are excited to add new areas to our Brand,” Holliman states. Currently, there are over 50 Pigtails & Crewcuts salon across the United States, with several salons expected to open before the end of 2018 in California, Central and South Florida, Colorado, Kansas, North Carolina, and Wisconsin. To learn more about franchise opportunities with Pigtails & Crewcuts, visit www.pigtailsandcrewcutsfranchise.com or call 1.877.752.6800. About Pigtails & Crewcuts: Founded in 2004, Pigtails & Crewcuts is a rapidly growing franchise in the children’s haircare industry. 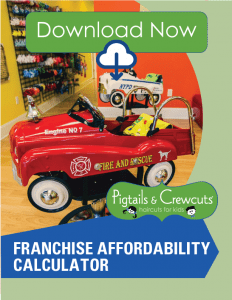 To learn more about franchise opportunities, visit www.pigtailsandcrewcutsfranchise.com or call 1.877.752.6800. Pigtails & Crewcuts, a children’s hair salon franchise based out of Atlanta, Georgia, recently signed a three-unit deal with owners Sneha Bhavan and Reyna Patel in Palo Alto, California. The new salons will help to establish the Pigtails & Crewcuts brand in the San Francisco Bay Area, joining the Danville location, which is expected to open later this year. The franchise has over 50 salons across the country, including five salons currently open in Southern California. The salons feature a fun and whimsical approach to children’s haircuts. “We are excited to be expanding our reach in the San Francisco Bay Area and look forward to working with Sneha and Reyna to find the ideal location for each of their salons,” says Michelle Holliman, Vice President of Franchise Development. Pigtails & Crewcuts, the leading children’s hair salon franchise, recently presented its annual franchisee awards at the 2018 franchise conference at Harrah’s Las Vegas Hotel & Casino in Las Vegas, Nevada. The awards that were presented to franchisees are based on performance and sales, as well as high scores received during annual quality assurance visits. Recipients of the President’s Award and Pigtails Pride Awards were also acknowledged. In addition, cruise certificates were presented to franchisees whose salons met certain sales figures for 2017. The Top Sales Award and a cruise certificate were presented to Andi Thompson (Westminster, Colorado), Brian Yonehara (Honolulu, Hawaii), and Kendra Keating (San Diego, California) also received cruise certificates for their sales. Shear Excellence Awards were presented to Angel Putnam (Greensboro, North Carolina), Kay and Evan Carroll (Charlotte-Blakeney, North Carolina), Caroline Dover (Greenville, South Carolina), and Jennifer Tribble (Winter Springs, Florida). To earn a Shear Excellence Award, salons must earn a perfect score on their annual quality assurance visit. A number of certificates were presented to franchisees for Shear Excellence “Exceeds”. In order to receive a Shear Excellence “Exceeds” certificate, a salon must score between 95 and 99 on its annual quality assurance visit. Andrew McGehee (Woodstock, Georgia) was presented with the President’s Award. This award is given by President and CEO Wade Brannon to a franchisee who is not only committed to the success of their salon, but also to the success of the entire franchise. Andrew is actively involved in the growth of the Pigtails & Crewcuts Brand and is committed to providing high-quality haircuts in a fun-filled environment. Andrew also achieved a score of 99 on his annual Shear Excellence visit, showing his dedication to the Pigtails & Crewcuts standards. The Pigtails Pride Awards were presented to Angel Putnam and Melissa Lindley (Wichita, Kansas). The Pigtails Pride Award is a new accolade presented by Franchise Support Specialists to franchisees that consistently exhibit pride in the Brand, a positive attitude, and support other franchisees by sharing ideas for growth, troubleshooting, and more. About Pigtails & Crewcuts: Pigtails & Crewcuts is a children’s hair salon franchise created by parents for kids to offer a stress-free haircutting experience for the whole family. In addition to hair care services, Pigtails & Crewcuts offers a custom line of kid-centric hair products and accessories, gifts, and a private party room for birthday celebrations. To learn more or to find a salon near you, please visit www.pigtailsandcrewcuts.com. 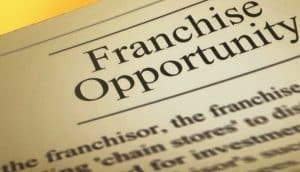 To learn more about franchise opportunities, please visit www.pigtailsandcrewcutsfranchise.com.